(CNN) -- Democrats are taunting Texas Sen. Ted Cruz for effectively allowing them a victory on a controversial nominee for surgeon general. Physician Vivek Murthy was confirmed Monday night on a 51-43 vote despite stiff opposition from the National Rifle Association, due in large part to Cruz's unsuccessful maneuver this weekend meant to register GOP opposition to Obama's executive action on deportations. The Texas Republican kept his colleagues in the Capitol through Saturday, intending to get a vote on whether the President's move was constitutional. With the Senate in session, Democrats were able to clear procedural barriers in the nomination process, originally thought to be too time consuming to finish before the Christmas recess. Cruz's keeping the Senate open allowed Democrats to clear those steps on a number of presidential nominees, some of them controversial, making it easier for them to win final confirmation this week. 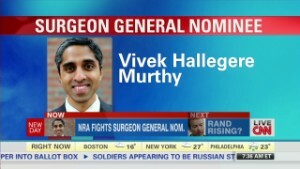 Murthy had long faced fierce opposition from Republicans, and particularly the gun lobby, for a letter he had signed calling for stricter gun control policies, and because he launched the pro-Obamacare group Doctors for America. So when he was confirmed on Monday night, Democrats could barely contain their glee — expressing it in part on Twitter. The Senate Democrats' account blamed both Cruz and Utah Sen. Mike Lee, both of whom forced their colleagues to stay in session through the weekend. White House senior adviser Dan Pfeiffer, former Obama campaign manager David Axelrod and Senate Majority Leader Harry Reid's communications director, Adam Jentleson, all joined in the chorus. Ironic. It took Ted Cruz to pave the way for the confirmation of Dr. Vivek Murthy as Surgeon General, finally breaking the NRA blockade. Senator Cruz's office calling their fellow Republican senators liars seems like a fitting end to this episode. 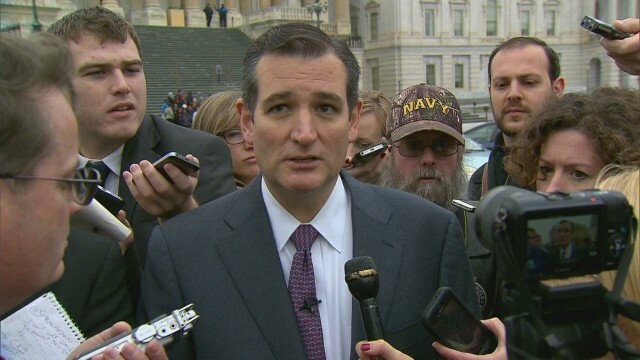 Cruz spokeswoman Amanda Carpenter responded in similar fashion, suggesting Cruz's gambit ultimately didn't matter. But the progressive group Center for American Progress saw it differently.